The European Masters is the new secondary League of Legends championship in Europe. It’s debut season brought intense and interesting matches for tens of thousands of viewers. 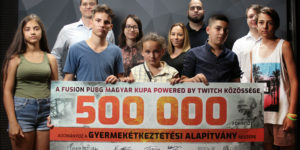 Esport Universum covered the event in hungarian through LOLTV. In addition, one of our technicians was part of the observer team, being an essential part of the production. Miklós “Zimerion” Derecskei has been with us for a while now both as a caster and a technician. 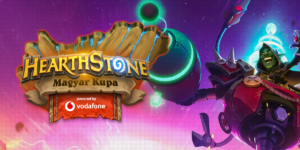 The European Masters team had needed new observers for the event, so Zimerion applied. He got the position and experienced the whole production from the controll room. It was opportunity only one person has ever received in Hungary. Who may not know, the observers are responsible for the ingame camera picture, including replays and special effects. It is an honour to have a colleague with such talent. We couldn’t resist, to ask a few questions about his incredible adventure, motives and unique experience. Naturally, with such a start, EU Masters will have other seasons. Who knows what other fantastic things will it bring? ESU: Hey Zimerion, thanks for taking the time to talk to us. 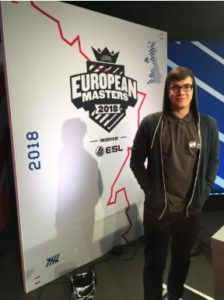 We are really proud to have you in our team representing Hungary in the UK, at the EU Masters production team as an observer. Tell me a bit about yourself, how did you get to be a professional observer? Zimerion: Hey, thank you for the opportunity. I think I’m not a professional, I still need to learn more, but it was a good start for me. I need to say thanks to Arwyll for giving me a contact to EU Masters product manager and a recommendation. The members of the team came mainly from two countries (UK and Germany), I was the only Hungarian. 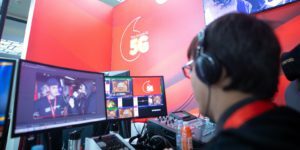 ESU: How did the opportunity to work on the EU Masters came about? Zimerion: After the V4 Future Sports festival I talked with Arwyll about the observer things, and I asked him, if he knew a job in europe just let me know, then he immediately wrote to them (EU Masters) and got me an email address, after many e-mails I have already received the details of my travel and accommodation details. ESU: How did you feel when you got the opportunity and how was it to get on a plane to work abroad? Zimerion: It was like a dream, really just about on the plane I could really believe I was going to work out there. This was my first trip which I was traveling alone, apparently it was a really good feeling, but I really did not want to believe that this was all happening with me. Before the trip I told my colleagues that it was so weird, because I’m just a “random” Hungarian guy, who has tried luck with a CV. ESU: What did you think of the production and the crew at the event? ESU: Who do you think was the coolest in the crew and why? Zimerion: My observer colleagues Alex and John, and Will the product manager. Alex and John were really helpful and friendly and Will solved all the problems that only arise, but the full crew was helpful, if i asked something. ESU: Is there any interesting story you would like to share with us from your trip? Zimerion: In the finals, our observer station was on a higher part where it could only be reached with a ladder and called it just as Observeria, it was very funny. When I arrived to the studio, Will started a studio tour to me and say to everybody my name is Miklos, but everyone was astonished, so I said that everybody calling me Zimerion at home, so I became Zim inside the studio. Plus at 20th April we celebrated two birthdays, John and mine. ESU: What does the future hold for you? Any plans in the making? ESU: Thanks a lot for talking to us, we wish you all the best in your future work!